Melchor Beltran Sr., age 79, passed away, Sunday, October 14, 2018. He was born in Elsa, Texas, on December 20, 1938, to Ramon and San Juana Beltran. 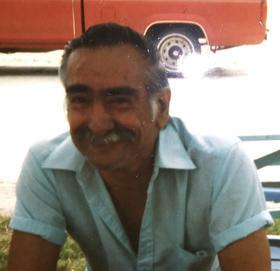 Mel moved to the Holland area in 1948 with his family. Mr. Beltran retired from the H.J. Heinz company in 1996, after more than 40 years of dedicated employment. He is survived by his former spouse, Teresa G. Beltran; sons, Mel Jr., Cruz, Jose Luis, of California; grandchildren, Veronica Keigley, Melissa Klaasen, Jessica Beltran, Cassandra Beltran, Ariel Beltran, Letycia Beltran, McKayla Beltran, Miah Beltran, Adrina Beltran, Jakob Beltran, Raina Beltran and Arianna Beltran. Mr. Beltran was preceded in death by his parents, Ramon and San Juana; siblings, Camilo Beltran, Pete Beltran, Valdimar Beltran, Baltazar Beltran, Victor Beltran, Erasmo Beltran, Sixto Beltran, Quinta Beltran; sons, Jimmy and John; grandson, Kairo Klaasen; his beloved four legged friend, Tasha. A funeral mass will be celebrated 11:00 am, Friday, October 19, 2018, at St. Francis de Sales Church, 171 West 13th Street, Holland. Father Kyle Kilpatrick will celebrate the mass. Visitation will be prior to the mass, from 9-10:45am, at St. Francis de Sales Church. The family has entrusted professional services with the Dykstra Funeral Home – Northwood Chapel.